High on the list of benefits of homeschooling is that you can do it anywhere, even as you travel—especially as you travel. Lessons learned during roadschooling are sure to be among those remembered for a lifetime, because of the multisensory, personal interaction and experience with the subject matter. Why not give roadschooling a try with one of these educational itineraries, or create one of your own! And if you do, please share it with us in the comments! Here’s a circuit with unparalleled teaching opportunities in the earth sciences, particularly geology. Challenge your kids to earn Junior Ranger status at each of the national park stops. Young earth proponents will want to be ready to counter the evolution narrative which prevails throughout this entire circuit. Collect rock specimens along the way for a unique souvenir collection, as laws permit, of course. Carlsbad Caverns, N.M. Located in the Chihuahuan Desert, this series of 100 caves is an excellent specimen of stalactites and stalagmites. White Sands, N.M. Freakishly white sand dunes in the middle of nowhere are so fine they will rub the skin off your feet, so beware! Kids will love surfing down the hills on a plastic sled or cardboard box. Petrified Forest National Park, Holbrook, Ariz. After you resist the temptation to sneak a piece of petrified wood out of this park, ask the rangers at the park exit where you can collect petrified wood legally, then go and get your fill! Or buy some at a souvenir shop; that works too. Meteor Crater National Landmark, Ariz. Truly out of this world … the topography of Meteor Crater so closely resembles that of the moon and other planets, NASA made it the official training site for Apollo astronauts. See space rocks on display in the museum. Tucson, Ariz. Visit the world’s largest gem, fossil and mineral show in February and September, both ideal times to be travelling this circuit which can be overcrowded and uncomfortably hot in summers. Grand Canyon, Ariz. Does the world’s largest canyon really need any introduction? Capitol Reef National Park, Utah Another unsung hero of the southwest, it surrounds a long wrinkle in the earth known as the Waterpocket Fold, with layers of golden sandstone, canyons and striking rock formations. Arches National Park, Utah Features some 2,000 natural sandstone arches, including several large ones which are easy to reach and climb in and around. Palo Duro Canyon State Park, Amarillo, Texas Hallowed ground for Texas rockhounds, this water-worn canyon is some of Texas’ most interesting scenery. Catch the outdoor musical, “Texas”, from June 1 to the middle of August. Are your teens ready to struggle with some hard facts? From the 1954 Brown v. Board of Education decision, which kicked off school desegregation, until well beyond the signing of the 1964 Civil Rights Act, the south was riddled with inspiring acts of courage by Civil Rights Movement activists, both black and white, most often met with brutal response. This route traces some of the hallmarks of that painful struggle which ultimately led to a stronger and more united country. Little Rock, Ark. 1957 Integration of Central High School. Memphis, Tenn. 1968 Murder of Martin Luther King, Jr.
Birmingham, Ala. 1963 During the campaign to desegregate the city, four girls are killed by bomb in a church. Orangeburg, S.C. 1968 Attempt to desegregate a bowling alley results in Orangeburg Massacre, the first of its kind on an American college campus. 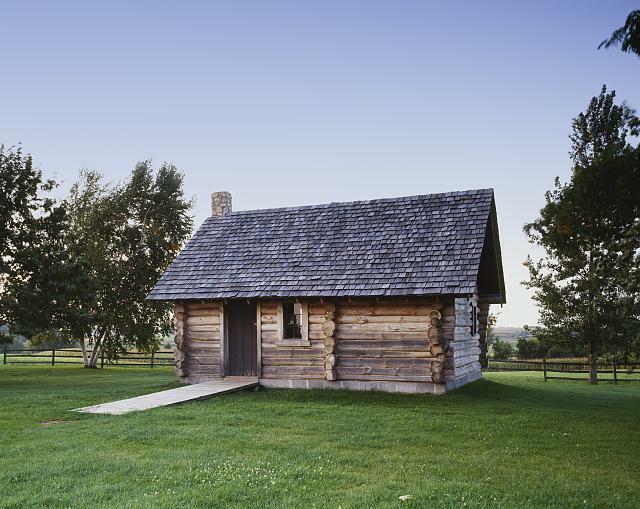 Wouldn’t it be great to read through the “Little House” series on a long road trip as you visit the locations where Charles and Caroline Ingalls raised their children, and Laura and Almanzo met, married and later lived? You might want to settle for doing this trip in a logical order, rather than the chronological order along with the books, as the latter adds 20+ hours to the trip, to cross the prairie to Independence, Kan., and then retreat back north. However, all of the extra hours in the car would give the kids a healthy appreciation for what it was like for pioneers moving westward in covered wagons that averaged about 15 miles per day! The fascinating Laura Ingalls Wilder Historical Timeline puts the life of the Ingalls and Wilders in context with world history. Independence, Kan. 1869 The Ingalls family moves to the Osage Diminished Reserve (Indian Territory) in Kansas. Spring Valley, Minn. 1890 Laura and Almanzo move to Spring Valley in hopes of improving Almanzo’s weakened health from a stroke and diphtheria. Walnut Grove, Minn. 1874 The Ingalls family settles near Walnut Grove, Minnesota, and spends their first year there living in a dugout as described in On the Banks of Plum Creek. Burr Oak, Iowa 1876 Charles and Caroline briefly manage the Masters Hotel. This business venture fails; Charles finds work in town. Vinton, Iowa 1881-89 Mary attends and graduates from the Iowa College of the Blind. De Smet, S.D. 1879 The Ingalls move to De Smet. The family spends the winter in the Surveyor’s House near Silver Lake. Mansfield, Mo. 1894 Laura and Almanzo settle in Missouri where their home is now open for touring. 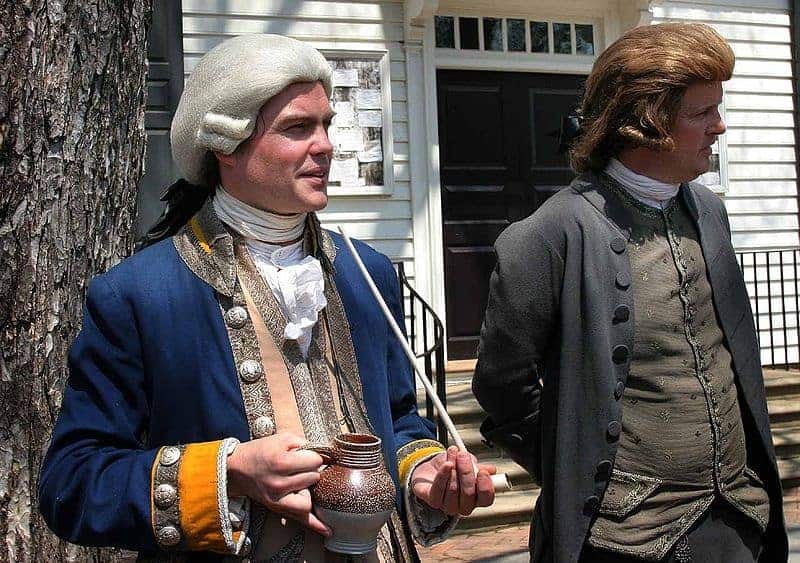 The history buff family that loves early American through Civil War history could easily spend an entire school year (and a small fortune) putzing up and down the East Coast exploring its many rich historical sites. For those with a time and money budget, we suggest this sampling. Six flags over Texas is not just a theme park—it’s history: First claimed by Spain; then Mexico after its independence from Spain; then the short-lived nation of Texas; part of the Confederate States of America; and the final flags were, are (and evermore shall be) the Stars and Bars and Texas state flag. This battle-born state has plenty of interesting historic sites. The Texas Independence Trail Region is a wide loop between San Antonio and Galveston with 40 stops. Download the brochure and map for a concentrated study on that time of transition. 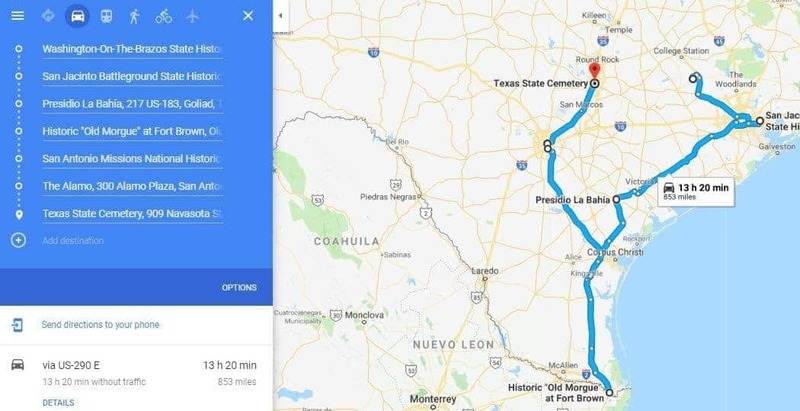 Or see below for a 13-and-a-half-hour route that hits highlights of independence, as well as Mexican-American and Civil War battles fought in our state. Washington-on-the-Brazos: Starting just south of College Station, this is where the Convention of 1836 signed Texas’ Declaration of Independence from Mexico. Off and on, the site also served as the Texas Capitol. Battle of San Jacinto: Texas gained its independence in 1836 on this battleground. The San Jacinto Monument and Museum of History now stand where Gen. Sam Houston defeated the army of Gen. Santa Anna. Goliad: The first offensive action of the Texas Revolution took place here on Oct. 9, 1835, with the capture of Presidio La Bahia, which Texas soldiers renamed Fort Defiance. In 1836, Col. James Fannin and 341 Texan soldiers captured following the Battle of Coleto Creek were executed in what became known as the Goliad Massacre. Fannin Battleground, part of the Texas Independence Trail, marks the location where Col. Fannin surrendered. Coastal Bend: Beach day! But there’s also a lot of history to take in here. From 1862-1864, Aransas Pass, Mustang Island, Padre Island and Corpus Christi were sites of battles and clashes between the Confederate and Union Armies during the Civil War. Throughout the Civil War, Corpus Christi was a divided and stricken city. Brownsville: The first military action of the Mexican-American War was an artillery exchange between the U.S. troops at Fort Texas and the Mexican troops across the river in Matamoros. Fort Texas, later known as Fort Brown, survived that bombardment as well as the war and remained an active U.S. military post until after World War II. Today, portions of Fort Brown are on the University of Texas at Brownsville campus and the Fort Brown Golf Course. The Battle of Palo Alto, a 12.78-square-mile park, is the only unit of the National Park Service with a primary focus on the Mexican-American War. The battlefield and historic site are located just outside of Brownsville. San Antonio: Missions San Jose, San Juan, Espada, and Concepcion were built over the 17th, 18th and 19th centuries. Today these four historic San Antonio landmarks have been preserved and are open to the public as part of the San Antonio Missions National Historical Park.